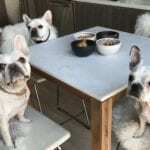 The Holiday Gift Guide for the Modern Dog Owner + Jetsetter - Where's The Frenchie? I personally love putting these little gift guides together. 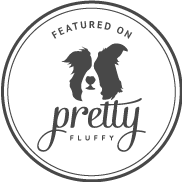 There are just soo many products out there so it’s nice to be able to browse from a smaller list of items that are highly rated, tested and loved. Here are 13 items that I think would make perfect gifts for the modern dog owner–lower price points too! And make sure to check for holiday promo codes. 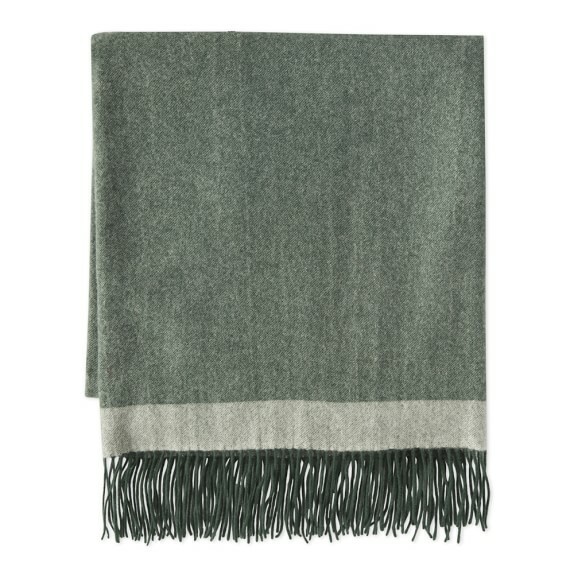 The most expensive item on here is a cashmere throw blanket ($299) but they do have a 20% off holiday coupon right now. Flint Lint Roller. 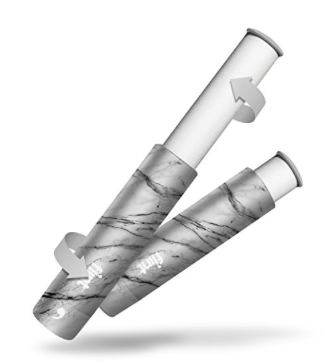 I probably put this lint roller on all my gift guides–I love it that much. Just pop it in your bag and go. The sheets are extra sticky (perf for super sheddy pups!) and they come in a bunch of different colors and styles. 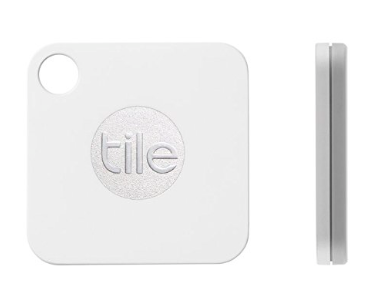 Tile Mate. These tiny tags (measures at a little over an inch) attach to your keys, luggage, computer bag or even put it on your dog’s collar so you never lose anything (or anyone) again. It connects to an app on your phone like a GPS tracker and even alerts you if it’s been moved out of radius. Wolf ‘Caroline’ Zip Jewelry Box. 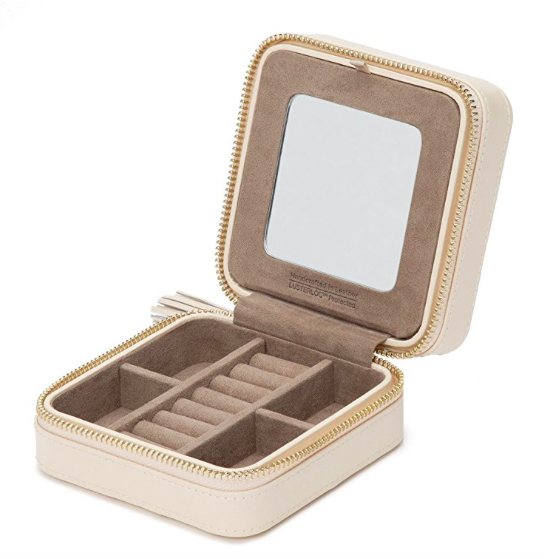 Adorable case keeps all your trinkets neat and pretty! 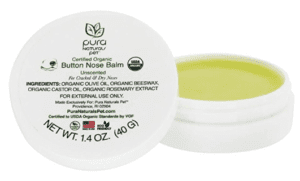 Pura Naturals Pet Nose Balm. 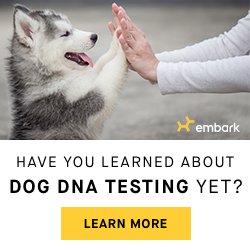 Here’s another product I always recommend for your pups! It just works so well and it only has 4 ingredients–all certified organic. A lifesaver for cracked noses, especially during travel and drier climates. 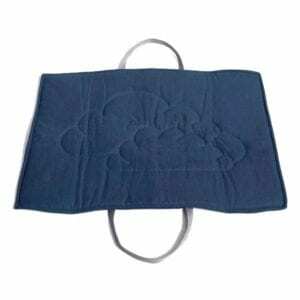 Cloud 7 Marine Travel Bed. Lightweight travel bed with handles that folds up nicely. It’s on sale too! 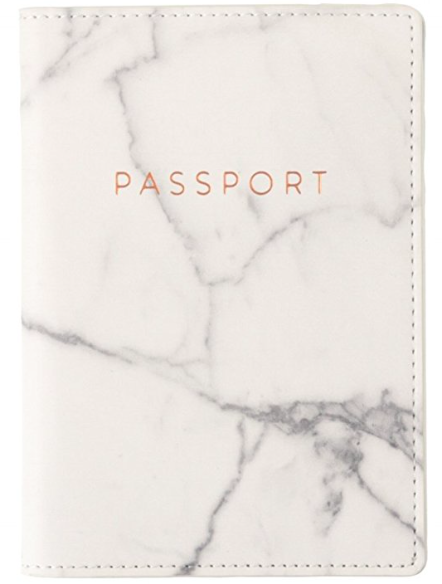 Eccolo Marble Passport Holder. So chic! It also comes in 15 colors/designs. At about ten bucks, it’s a steal. Travel Design All-in-one. 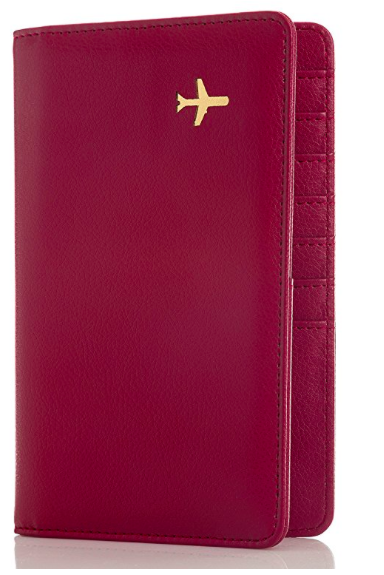 If you’re looking for a passport case that holds a bit more, this leather holder can carry two passports and has 7 pockets for cards, cash, tickets etc. Comes in 6 different colors. 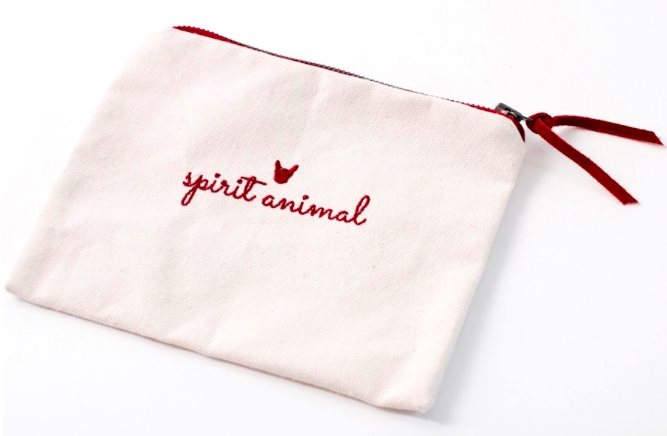 WTFrenchie Spirit Animal Zip Pouch. I always pack one of these with my lint roller, extra poo bags and treats! Canada Pooch Cargo Cardigan. 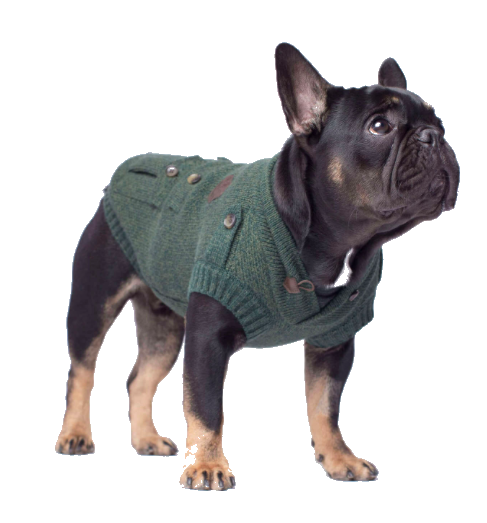 Just in love with this brand’s knitwear for dogs! They are very high-quality with adorable detailing and a perfect fit. OEE 7 pc Packing Cubes Set. 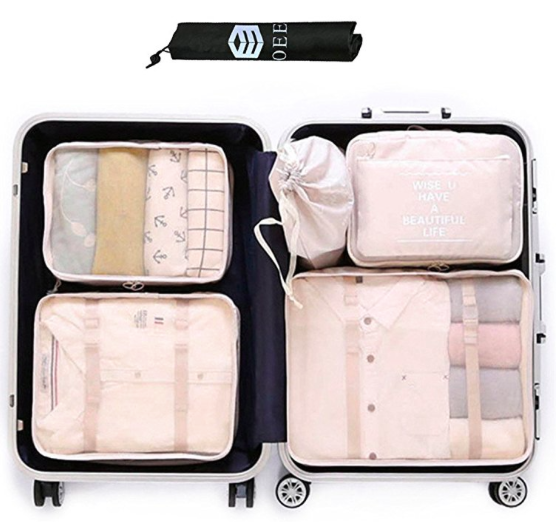 The best way to pack is with packing cubes! Love that it separates everything and keeps your clothes from getting wrinkly too. Flight 001 4-in-1 Adapter. Last but not least! I’ve had this adapter for yearsss. 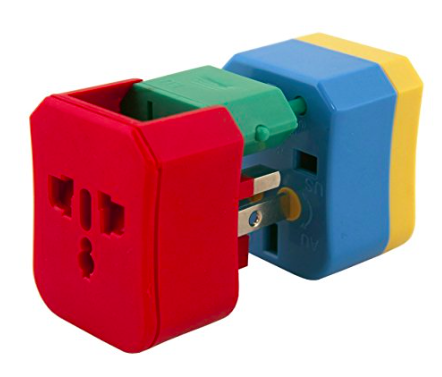 The colors help differentiate between countries etc and it all clicks together into a cube. A must. 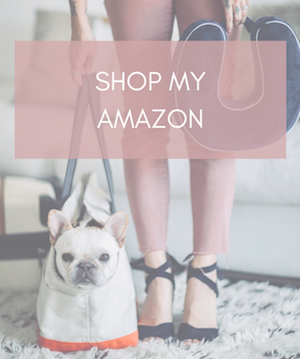 Where's The Frenchie is a participant in the Amazon Services LLC Associates Program, an affiliate advertising program designed to provide a means for sites to earn advertising fees by advertising and linking to amazon.com.